Can investing in enterprise development be the key to unlock and transform the South African business environment? With South Africa’s economic make-up still reflecting outdated trends as the result of our past, a lot is being done to change this situation for the better of all in society. Enterprise development (ED), as one of the cornerstones of transformation and empowerment, can go a long way in changing the current status quo. 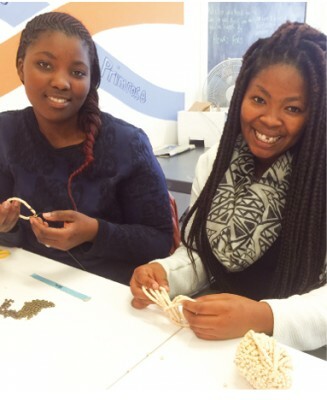 This is according to Sandisiwe Yengeni, Finance and Operations Manager at Relate Bracelets, a non-profit organisation raising money from the sale of hand made craft, aimed at inspiring ordinary citizens to become agents of social change. Thus far, the organisation has raised over R35 million cumulatively toward a number of goals including education, conservation and healthcare, among others. In a transformation and empowerment paradigm, Yengeni says enterprise development is an intentional investment in black business, particularly those in their infancy, and can help them to grow into fully functioning entities. “This entails a more holistic approach: developing black talent to start businesses, partnering with organisations that are helping to develop black entrepreneurs and then directly investing in the actual development of black-owned enterprises. Yengeni says what she “loves” about Relate is that this has been their operational model. She says a classic example of this is how the organisation structures its skills and enterprise development programs—the Youth of Relate programs—involving young people employed by Relate to close and pack the actual bracelets. Yengeni says while they are earning a salary from Relate, the company also works to get them onto either an entrepreneurial path, or a path that will give them the skills needed to pursue a career they might be interested in. Looking at enterprise development, Yengeni says the reasons for businesses to get involved is quite straightforward when they start considering their own growth in the South African market. “From a commercial perspective, it makes businesses sense to invest in developing 80% of the country’s population. As economic theory argues, the more a person earns, the more they spend. Given that the majority of black South African youth are currently unemployed, the growth of businesses in the South African market will come when these individuals start making an income and start participating as independent consumers with buying power in the economy. “The limited nature of jobs in both the private and public sector forces us to explore entrepreneurship as the alternative to getting these young people employed. 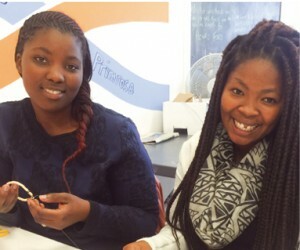 Therefore, the ultimate goal for not only South African corporates, but also for the public and social sector, should be to see them coming alongside black South African youth to start cultivating a culture of entrepreneurship and build healthy, thriving black-owned enterprises,” she says. A 2013 USB study states that the injection of billions of rands into enterprise development by the South African corporate sector has not realised its potential in terms of impacting socio-economic transformation, nor has this commitment accomplished the intentions of the BEE Codes. Taking this into consideration, Yengeni says one has to ask why this has not worked. In her opinion, she believes that far too often enterprise development aimed at transformation remains a last-minute box to tick on most business plans. Yengeni also believes that Government should adopt more ED-friendly legislation to help start-up businesses off the ground and to get them through their first 1 000 days as new businesses. “So tax breaks, preferred procurement policies, exemptions in some areas, labour legislation reviews etc. will all go a long way to assist the private sector in pushing this very important SME sector forward. If we can approach ED as a more holistic engagement of the economic, governmental, political, private business sector and social landscape, I believe we will see meaningful impact for all stakeholders that are investing in this process,” she says. Corporate South Africa has been given the ideal opportunity, through the BBBEE Amendment Codes, to build more sustainable businesses and to play a greater role in socio-economic transformation. Yengeni says when reading the Revised Codes of Good Practice, the goal is that by redefining enterprise development as both enterprise development and supplier development there is an attempt to ensure that smaller black-owned businesses have more access to economic opportunities within the entire business value chain. The reasoning for this, she says, seems to be aimed at stimulating job growth through SMMEs since, so far, neither the existing public nor private sector have been able to absorb South Africa’s unemployed. She says the good thing about this amendment is that it encourages corporates in particular to focus not only on their internal economic development efforts, but to be creative in looking at development opportunities within their entire value chain. This also provides black entrepreneurs with increased diversity in the industries that they venture into, according to her. So which kinds of economic development projects has the biggest potential to boost long-term economic growth in our communities? As Yengeni puts it, she has been fascinated by the ‘giant’ we call the retail sector. “The diversity within this industry and the involvement of differing sectors within retail has made it a rather dynamic and vast industry in my opinion, looking at the entire value chain of course. Take Woolworths for example; the diversity in their product offering—from food to clothing and jewellery, financial services, as well as homeware—ensures that they are involved with diverse industry suppliers. “The development of ED projects within the retail sector ensures diversity in industries that could be developed further. While retail is a personal fascination of mine with diverse offerings, I honestly do not think there is any particular kind of ED project or initiative that has the biggest potential. Retail is merely a good example to showcase the vast opportunities that exist for businesses out there. I am convinced that in whatever project you undertake, ensuring that whatever plan you end up going with is properly planned and implemented, rather than a last-minute tack on to secure BEE points, will lead to the long-term economic growth ED has the promise to achieve,” she says. Looking at which sectors are currently taking the lead when it comes to driving enterprise development projects in South Africa, Yengeni says although hard to answer due to a lack of qualitative as well as quantitative studies related to the long-term efficacy across all sectors, she says there are a few that come to mind. Based on anecdotal stats, the building, construction, services and hospitality industries seem to be leading the way. Unfortunately, Yengeni says, in general, the majority of enterprise development projects are nothing more than efforts to fulfil legal requirements and secure BEE points with no consideration of the real impact. “In fact, a 2013 study on ED in South Africa by New York University’s Center for Global Affairs had some interesting findings. It found that 73% of participants (across all sectors) recognised the importance of impact measurement as part of ED strategy, but of that, 45% did not capture ED impact data outside of the amount of money spent. And those that did, often only look at the simplest or readily accessible data, instead of national socio-economic indicators,” she says. Challenges facing companies and organisations who run or aim to establish enterprise development projects do however occur. Yengeni says quite often, the lack of a proper framework for sharing of lessons learned when dealing with enterprise development projects which highlight specific issues for example, is an issue. “With no clarity on how to properly implement ED projects—and this would feed into why many only look to ED initiatives as a box-ticking exercise—businesses can’t afford to really invest in ensuring these projects will succeed,” she says. There are also difference between the ways not-for-profits run enterprise development projects compared to companies in the corporate sector. Yengeni points out that one of the advantages smaller not-for-profits like Relate has, is that is nimbler and more intensive when it comes to aspects of enterprise development such as business incubation. Looking at the successes they have had with their own organisation, Yengeni says, “Our enterprise development initiative is essentially about assisting formerly disadvantaged fledgling organisations to grow to their full potential, in turn creating economic and growth opportunities for others. She says realising that this is one of the primary reasons SMMEs fail within their first two years of opening, business incubation is an intensive undertaking whereby they are looking to transfer managerial skills and business know-how to ED beneficiaries. She says they have put clear measures in place based on set agreements with their enterprise development partners and will monitor each of these against their operating business models and growth paths. This will be done on a quarterly and annual basis. “We do not invest and then leave the building. We are invested in more than just cash inflow.”Concluding with some advice for companies and not-for-profits contemplating starting enterprise development projects, Yengeni says, ”Like we have done at Relate Bracelets, ensure that you not only have short-, mid-, and long-term goals for your project that you can measure, but also have your ED initiative closely aligned with the core operations of your business.